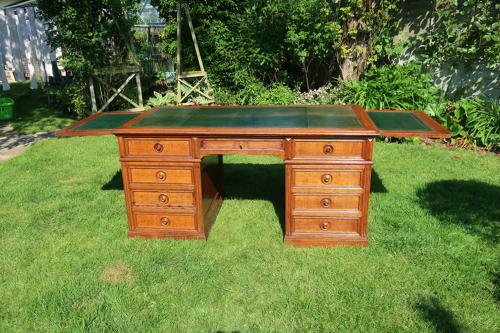 A fine quality large pedestal desk in oak, with a green tooled leather top. With fielders panels all round so can be used away from the wall if required, oak linings to all the drawers and with very useful slides to each side, very useful for any peripherals. All in excellent condition, and good colour.dating to the 19th Century.